We have just taken delivery of a brand new Pec Deck and a Plate loaded Lat pull over! We are also now pleased to announce we have a brand new Buffalo Squat Bar! Legends gym is an 'old school' gym. The sort of gym that icons of the golden age of lifting would have chosen to train at. Role models such as Arnold Schwarzenegger, Frank Zane and Bill Kazmaier. Situated in Bishopsworth, Bristol, Legends caters for all your gym needs. 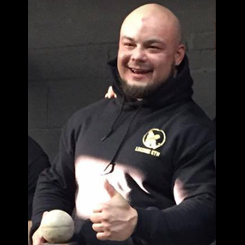 With facilities and equipment for, and staff experienced in bodybuilding, strongman, and fitness there isn’t a goal that we can’t help you achieve, even if that goal is just to feel good. The drive to have the best possible equipment at legends gym has proven to be a challenge. A challenge that was until Legends employed the skills of Watsons gym equipment, who have met all our high spec requirements, building all their equipment from scratch at their local factory. There aren’t many people who can press 90kg dumbbells. But at Legends gym at least you have the opportunity to! Because at Legends we have the heaviest dumbbells in the South West. And if you’re not quite ready for that, then we offer weights ranging from 1 – 90kg all built in the traditional old school solid iron way. Although Legends Gym is primarily an old school lifting Gym we want to make sure every members needs are met, therefore we have a small dedicated area for cardio training. Whether you require a spin bike, cross trainers, Stair Master or a tread mill we have them all. Texas Dead lift bar, Texas 25kg Squat bar, Texas Power lifting bar, Eleiko Power lifting bar, Buffalo Squat bar and a Rogue Safety Squat bar. Here at Legends Gym we have the bars, platforms, benches and cages to support all your lifts. Strongman equipment although not as technical is no less important. And with a full range of stones, yoke, farmers, sled, prowler and logs available for all to use, you can be sure to improve all aspects of your strongman training. 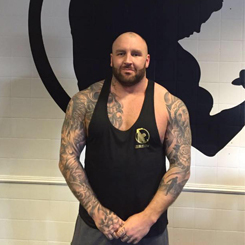 It’s not unusual to hear Seb Dymond, the owner of Legends Gym saying “The Gym changed my life”, and after struggling with his own battle with drugs and depression he is passionate about showing others that the gym can offer a life line. It is that ethos that has driven him to want to own and run the best gym he possibly can. This shows in the enthusiasm he puts into not only the equipment and atmosphere but in the support and training advice he gives to the members and the wider community. Body building, Strongman, Strength and conditioning Training, nutritional guidance and Power lifting, being a specialist in Bench pressing. There isn’t much Max hasn’t covered in his 15 years under the barbell. Originally from Poland bilingual Max has a zeal for the sport and promoting correct technique and form that is contagious. 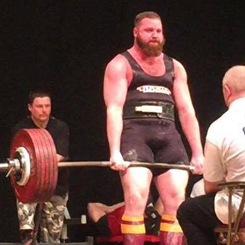 Andy Peters is a man with a goal, and that goal is a 320kg Dead lift. You don’t have an ambition like that without a huge amount of lifting knowledge and skill. With a good 15 competitions under his belt, winning multiple times and never out of the top 3. He has experienced in both Raw and Equipped Lifting, Andy is the man to go to for power lifting advice. At Legends we offer a flexible no-contract "Pay as you train" membership. We don't believe in locking our members into contracts. For added convenience we have a direct debit option and card machine.